To subscribe to this Living the Deeper Yes blog, click the “Follow” button (lower-right corner of the screen), and you can choose to sign up for e-mail updates via WordPress, and/or follow with a WordPress account. To receive e-mails directly from me each time I post a new blog entry, join my e-mail list. Released in 2017, LIVING THE DEEPER YES has found its way to the TOP 3% OF ALL BOOKS ON AMAZON, where something weirdly magical seems to be occurring. A certain strata of readers (by no means all, but definitively many!) are finding this book to be powerfully transformative, experiencing a sense of possibility and inner spaciousness that is causing them to re-read the book again and again. This is especially true with the AUDIOBOOK, read and delivered with original music by the author herself. Living the Deeper YES quirkily and invitingly encourages you to re-connect with the not just the wonder all around you, but with the wonder deep within you. Filled with truly engaging stories, playful yet awkward personal revelations, and a set of very specific tools to help you make tiny but critical inner SHIFTs, the book invites you to begin seeing struggles and setbacks in a new way: as untapped fuel to help cultivate a more conscious, effective relationship with not just some but alllllll of the many the voices within you. And, perhaps most important of all, it helps light the path toward THE SINGLE MOST RESONANT VOICE WITHIN YOU: the ever-present, luminous-and-magical GPS of of your "Highest Self." (SEE VIDEO) Living the Deeper YES is available on Amazon and on hundreds of websites throughout the world. 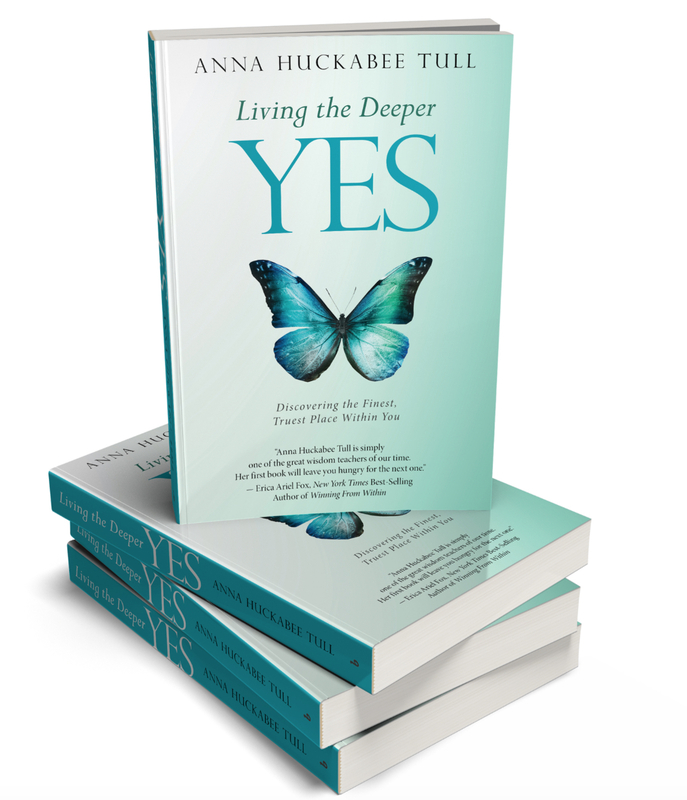 ANNA HUCKABEE TULL is the Award-Winning Author of LIVING THE DEEPER YES, available on Amazon in book and audiobook format. 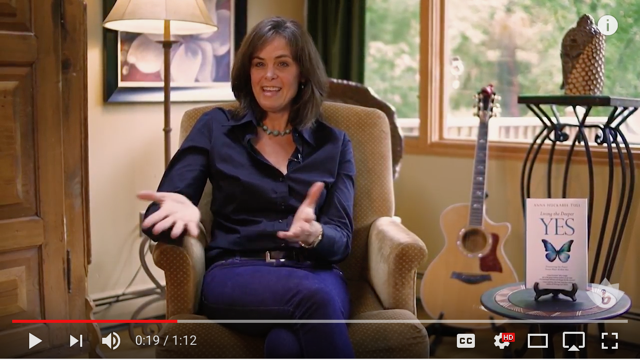 She is a Master Life Coach of 20+ years, and an Award-Winning Singer Songwriter with 5 albums and 250 recording credits to her name. Anna performs regularly in psychiatric hospitals and prisons. She recently completed a project of walking every street in her hometown of Concord, Massachusetts, which she shares with her husband and two teenage sons.